Heroku is a cloud application platform – a new way of building and deploying web apps. Heroku lets app developers spend 100% of their time on their application code, not managing servers, deployment, ongoing operations, or scaling. 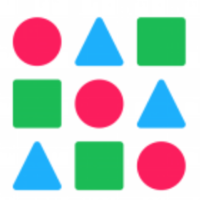 Once you upload your application, Elastic Beanstalk automatically handles the deployment details of capacity provisioning, load balancing, auto-scaling, and application health monitoring. Deis can deploy any application or service that can run inside a Docker container. In order to be scaled horizontally, applications must follow Heroku's 12-factor methodology and store state in external backing services. 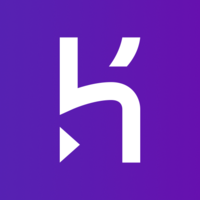 Why do developers choose Heroku? Why do you like Heroku? Why do developers choose AWS Elastic Beanstalk? 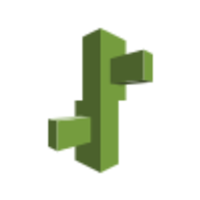 Why do you like AWS Elastic Beanstalk? Why do developers choose Deis? Why do you like Deis? What are the cons of using Heroku? What are the cons of using AWS Elastic Beanstalk? Downsides of AWS Elastic Beanstalk? What are the cons of using Deis? How much does Heroku cost? How much does AWS Elastic Beanstalk cost? How much does Deis cost? What companies use AWS Elastic Beanstalk? What tools integrate with Heroku? What tools integrate with AWS Elastic Beanstalk? What tools integrate with Deis? What are some alternatives to Heroku, AWS Elastic Beanstalk, and Deis? I use Heroku, for almost any project of mine. Their free plan is awesome for testing, solo developers or your startup and its almost impossible to not cover you somehow. Adding an add on is a simple command away and I find it easy to use it both on my Windows PC or my Linux laptop. Their documentation, covers almost everything. In particular I have used Heroku for Spring, Django and AngularJS. I even find it easier to run my project on my local dev with foreman start, than ./manage.py runserver (for my django projects). There is no place like Heroku for the developer! Can't beat the simplicity of deploying and managing apps, the pricing is a bit high, but you are paying for those streamlined tools. However, after several experiences of tracing issues back to Heroku's stack, not having visibility into what they are doing has prompted moving two applications off of it and on to other more transparent cloud solutions. Heroku is amazing for what it is, hosting for early stage products. I've been using Heroku for 3 years now, they have grown super fast and each time they're improving their services. What I really like the most is how easily you can show to your client the advances on you project, it would take you maximum 15 minutes to configure two environments (Staging/Production). It is simply essential and fantastic! I liked how easy this was to use and that I could create some proof of concepts without have to pay. The downside for NodeJS is remote debugging. Pretty much have to depend on logging where Azure allows remote debugging with Node Inspector. Using Heroku takes away all the pains associated with managing compute and backing services. It may require a little extra optimisation and tweaks, but these constraints often make your app better anyway. Not having to deal with servers is a huge win for us. There are certainly trade-offs (having to wait if the platform is down as opposed to being able to fix the issue), but we’re happy being on Heroku right now. Being able to focus 100% of our technical efforts on application code is immensely helpful. Two dynos seems to be the sweet spot for our application. We can handle traffic spikes and get pretty consistent performance otherwise. We have a total of four apps on Heroku: Legacy Leanstack, StackShare Prod, StackShare Staging, StackShare Dev. Protip: if you’re setting up multiple environments based on your prod environment, just run heroku fork app name. Super useful, it copies over your db, add-ons, and settings. We have a develop branch on GitHub that we push to dev to test out, then if everything is cool we push it to staging and eventually prod. Hotfixes of course go straight to staging and then prod usually. I would expect the graphs to expand with some sort of detail, but that’s not the case. So these metrics aren’t very useful. The logs are far more useful, so we just keep the tail open while we test. Heroku runs the web and background worker processes. Auto-deployments are triggered via GitHub commits and wait for the Buildkite test build to pass. Heroku pipelines with beta release phase execution (for automatically running database migrations) allowed for easy manual testing of big new releases. Web and worker logs are sent to Papertrail. As much as I love AWS EC, I prefer Heroku for apps like this. Heroku has grown up around Rails and Ruby, massive set of add-ons that are usually one-click setup, and I once had to perform an emergency app scale-up a that I completed in seconds from my mobile phone whilst riding the Bangkok subway. Doesn't get much easier than that. Used for proofs of concept and personal projects where I want to remain in a free tier (as opposed to a service like DigitalOcean), and application state must outlive an HTTP request/response cycle. Heroku Postgres sometimes used as a free tier PostgreSQL managed database linked to non-Heroku apps, for example AWS Lambda. Elastic Beanstalk gives us a managed platform for our front end servers to make sure that traffic is never overloading our servers and that deployments are always successful. Elastic Beanstalk manages our environments. We rely on it to manage rolling out new versions of services. Easy to get started. Essentially a package of several AWS products integrated for you. For convenience I use Elastic Beanstalk to host all my sites. All server-side deployments go to one of 5 EB environments.